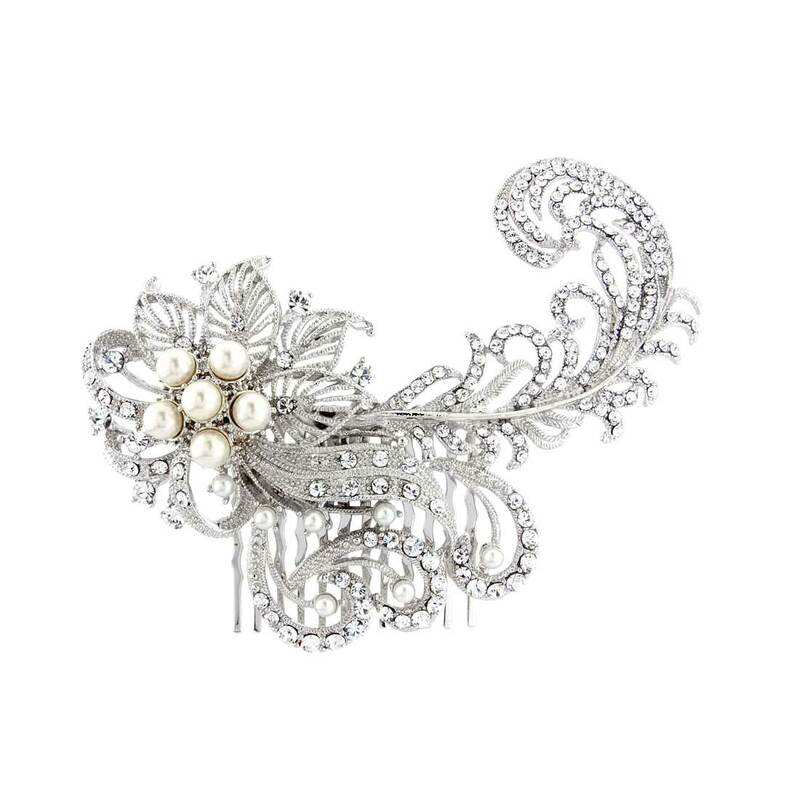 Embrace 1940s classic Hollywood glamour with this exquisite feather and pearl hair comb. Exquisitely beautiful with intricate detailing, Feathers and Flowers Hair Comb looks like a precious vintage heirloom. Featuring a sweeping feather adorned with sparkling clear Austrian and a romantic flower enhanced with ivory faux pearls, this magnificant headpiece looks divine set in a feminine side chignon, to dress a chic French pleat or positioned at the side of the head for classic vintage style. 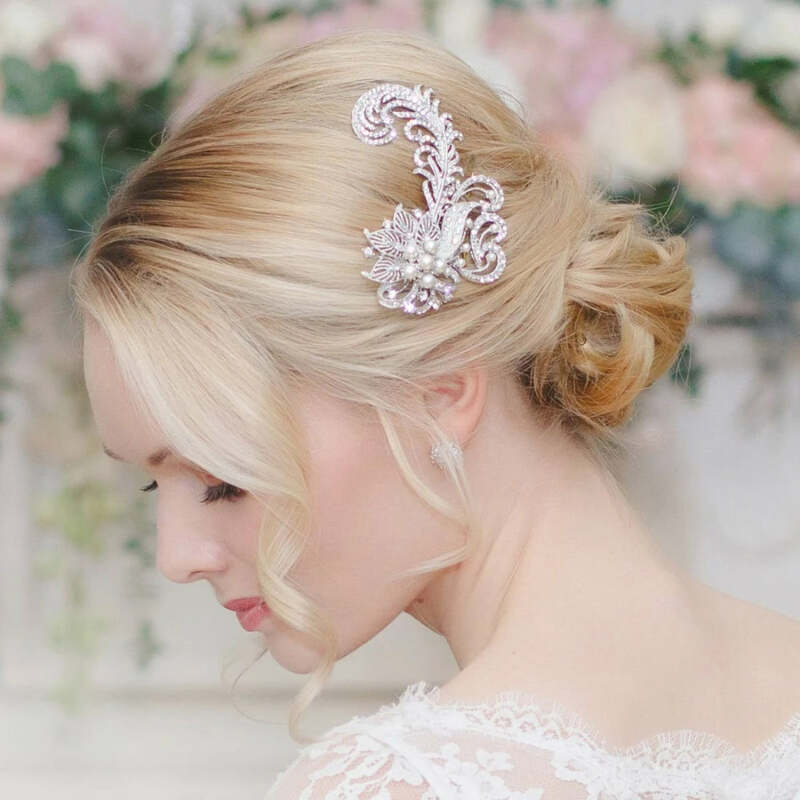 A beautiful wedding hair comb for the bride who adores the beauty of headpieces from bygone eras, Feather and Flowers look sensational coordinated with a pair of crystal bridal earrings and a bejewelled bangle. This hairpiece is so stunning! Definitely worth it...I can't wait to use it in my special day!